Once a trend, now ubiquitous—I put this floral craze to the test. Think back to the year 2000. My guess is that, like mine, your beauty routine began and ended with a healthy coating of Bath & Body Works Art Stuff Roll-On Glitter. I can practically smell that factory-made, candy-like fruitiness now. But in the more natural beauty realms, a cult classic was born in the year Y2K: Fresh&apos;s Rose Face Mask. 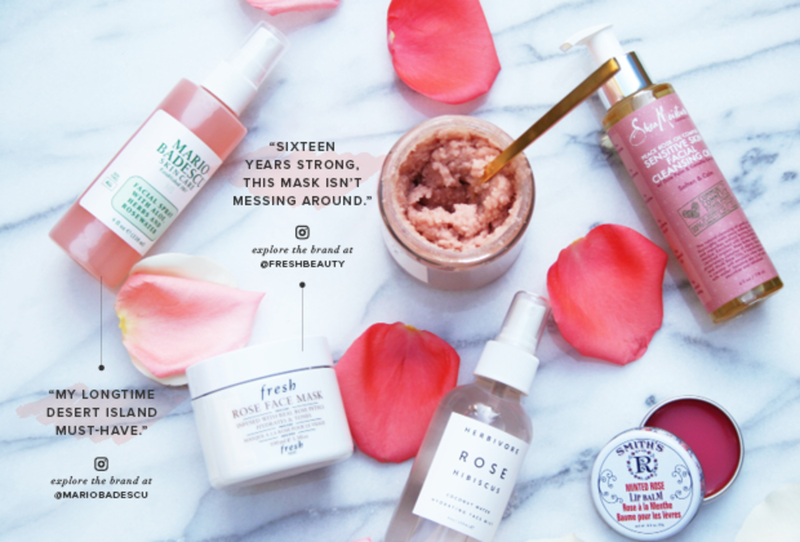 Despite being exalted by the Greeks and Romans and plenty of other ancient civilizations, it was Fresh&apos;s mask that began a steady rise culminating in a near epidemic of rose-based beauty products on the modern market. A Sephora online search for "rose" turns up more than 350 skin, hair, and body products. And sixteen years later, that Rose Face Mask is still Fresh&apos;s pièce de résistance. Rose is a gold mine for skin and body care. 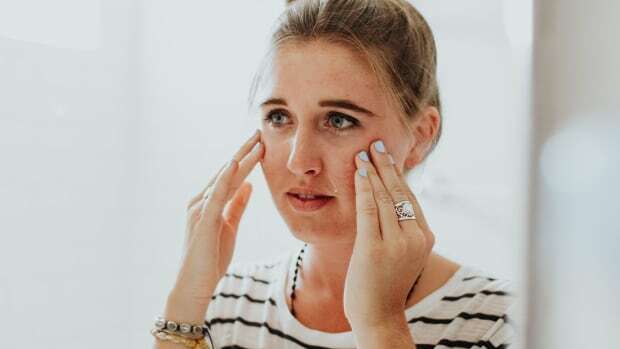 From treating acne to healing sore throats and relieving depression symptoms, the floral remedy has been revered for centuries. 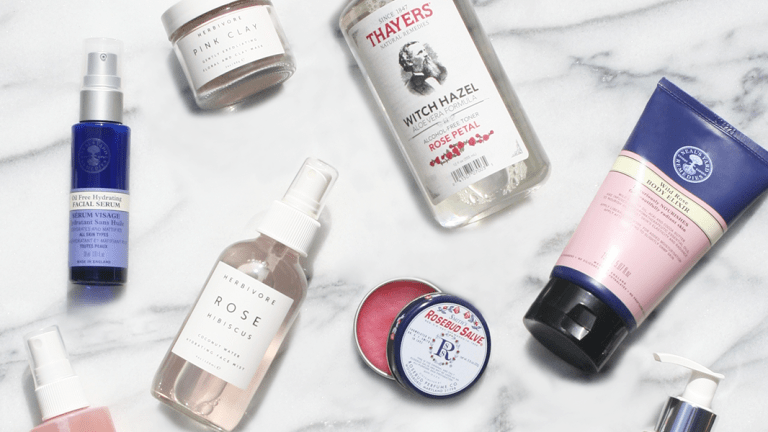 When it comes to beauty, you&apos;ll see rose products described as: naturally astringent, antibacterial, anti-inflammatory, antioxidant rich, and moisturizing among others—not to mention soothing. Most products are lucky to claim just one of those properties; rose claims them all! Many years removed from my body glitter days, I decided it was high time I saw for myself what all this rose hype was about. For me, the main obstacle with all of the products was the smell. I&apos;m used to products without much scent, but pretty much anything rose-based carries at least a slight floral note (which you&apos;ll either embrace or revile). Beyond that, there&apos;s a lot to love about these high-quality skincare items. Here&apos;s what I thought of some of the most popular products on the market. If you read my account of trying men&apos;s products for a week, you know I&apos;m already a big fan of Shea Moisture&apos;s Olive and Green Tea Body Wash. I stumbled upon that product about a year ago, but before that I was totally unaware of this company. Having now tried their Peace Rose Oil Complex Line, I can tell you for sure—this is an underrated beauty brand. The company grounds itself in organic, sustainable, and fair trade practices. 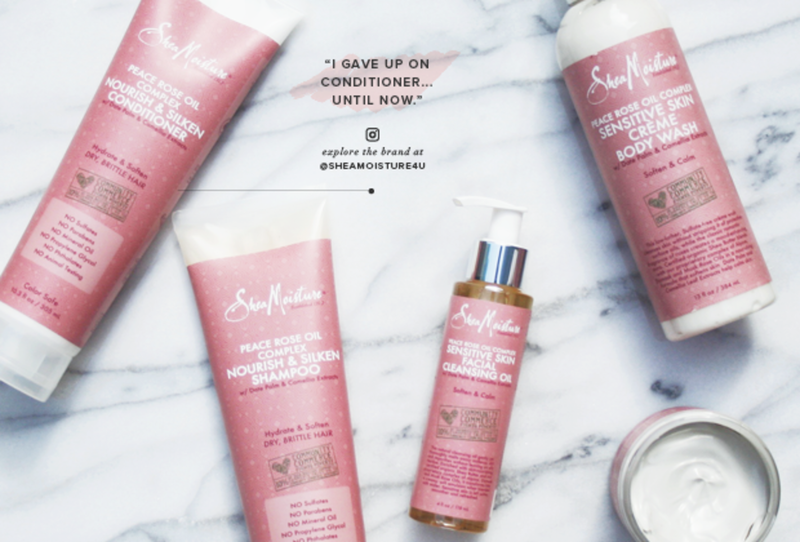 And Shea Moisture has a company mission that&apos;s equally as impressive as its affordable products. The Peace Rose Conditioner has a unique consistency—like a very creamy mousse. I loved it because whereas most conditioners weigh down my locks, this one did not. And if you like to wind down with a classic mud mask, the Peace Rose one is great for sensitive skin. Rinsing some masks practically requires scrubbing your face raw. This mask was smooth like butter and easy to remove. A minimalist&apos;s dream, the packaging alone on this line of products is enough to calm you down. But just one use of the Coco Rose Coconut Oil Body Polish, Pink Clay Exfoliating Floral Mask, and Rose Hibiscus Coconut Water Hydrating Face Mist had me downright tranquil. 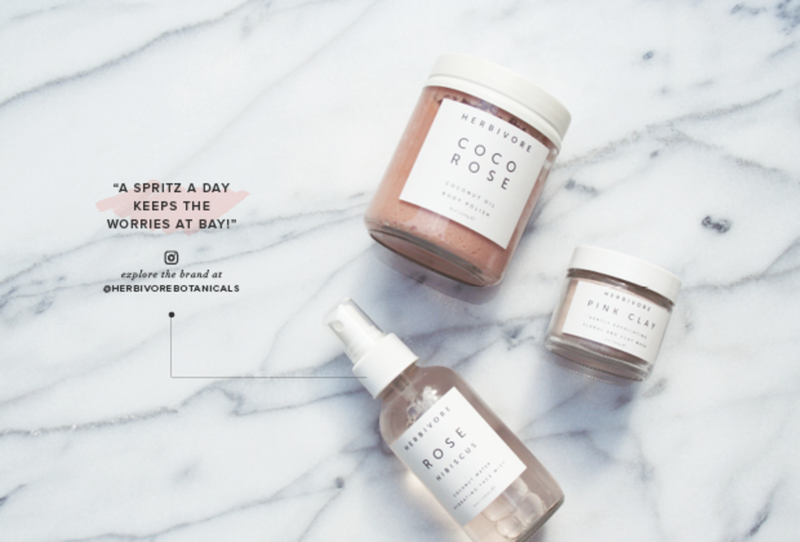 Natural, botanical, and therapeutic, this product line is worth a try. I&apos;ve been a die-hard face mister for a while now. 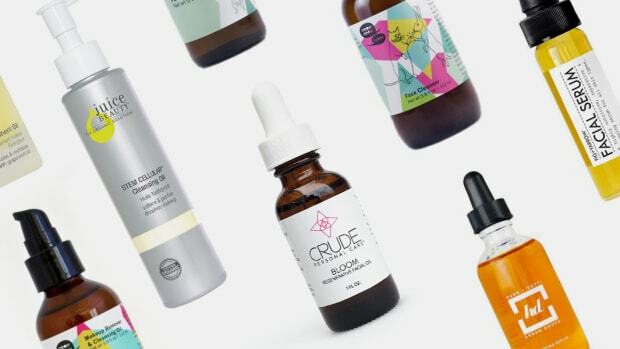 My go-to (more on that later) had to be shelved so I could try Herbivore&apos;s light-pink elixir, and I&apos;m loathe to say, it gave my mainstay a real run for its money. Will I be swapping my seven-buck beauty buy for this one that&apos;s more than twice the price? I can&apos;t say for sure, but if you try it, you&apos;ll not be disappointed. I got back on the toner train about a year ago. Immediately upon doing so, I wondered why I ever got off. I actually find this optional step to feel more cleansing than washing, and the simple act of swiping a moistened cotton ball across my bare face is a low-grade luxury. 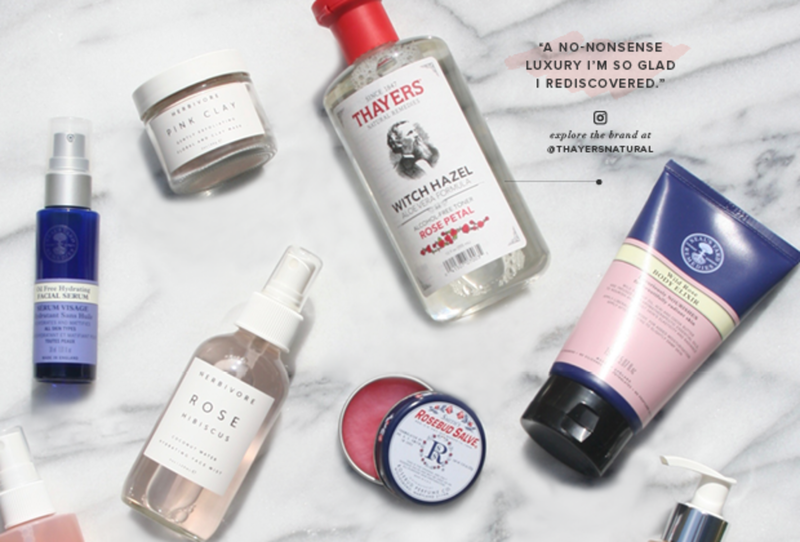 I&apos;ve mostly been dedicated to the plain witch hazel toners, so I was happy to switch up my routine for a formula with rose petal water from Thayers. If you&apos;re looking for that trendy product you can show off to your friends, this isn&apos;t it. But that&apos;s why I love it. Thayers transcends gimmick. It&apos;s simple and effective—period. And the brand new bar soaps (I tried the rose one!) are equally satisfying. Thayers has been in the skincare game for decades, and they prioritize domestic production and organic ingredients. 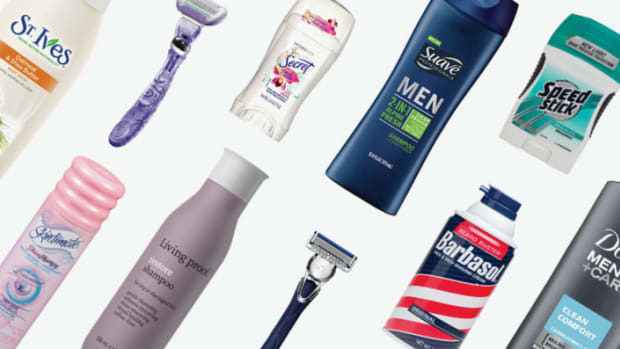 What more could you ask of an affordable, time-tested product line? So, Fresh is amazing. But every rose has its thorn, and Fresh&apos;s poker comes in the form of dollar signs—the Rose Face Mask will set you back $62. As far as skincare goes, that&apos;s not terrible, but it&apos;s still an investment. My biggest takeaway from this is that I actually don&apos;t see it as a mask. After one round of the traditional ten-minute treatment route, I decided to take a new approach. Each night I would put on a thin layer of the jelly-like mixture as an overnight moisturizer. I was shocked at how readily it soaked into my skin, and come morning? Well, I&apos;ve got one word for you—supple. Whichever way you choose to use it, there&apos;s a reason this product has been a top seller for nearly two decades. I can&apos;t extol the scent (I&apos;m still warming to the floral notes), but as a brightener and texture booster, I will happily accept this rose. Oh, Mario, my love. 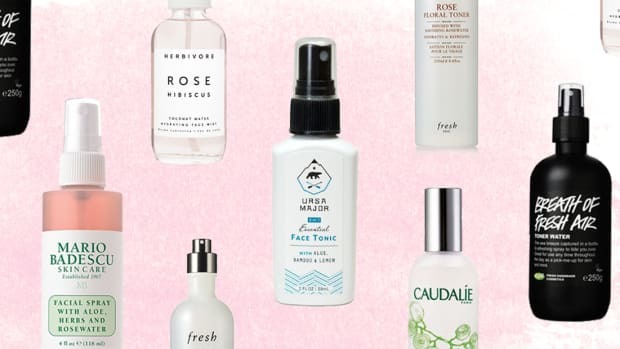 Before I even set out to try a myriad of rose products, I knew this Facial Spray With Aloe, Herbs and Rosewater would make my list. This is the aforementioned facial spray whose praises I sing every chance I get. To set my makeup, to wake me up midday, to refresh after the gym—it&apos;s amazing what a spritz can do for you. I first grabbed this product thanks to three references: my dermatologist, a make-up artist at my go-to beauty store, and Kylie Jenner&apos;s Snapchat (yes, I know). They did not lead me astray. I truly credit this product for making my mineral makeup last longer and for balancing my skin enough to ward off greasiness (or at least delay it). But if all the products I&apos;m talking about are coming up roses, this one is the long-stem among them. Why? 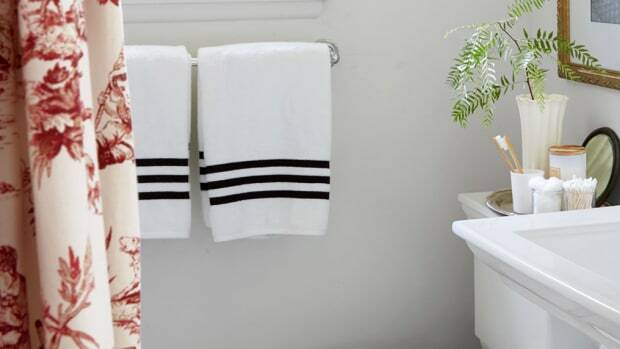 Because it&apos;s luxury; it&apos;s relaxation; it&apos;s utility; and it&apos;s less than $8. I&apos;ll take a dozen. 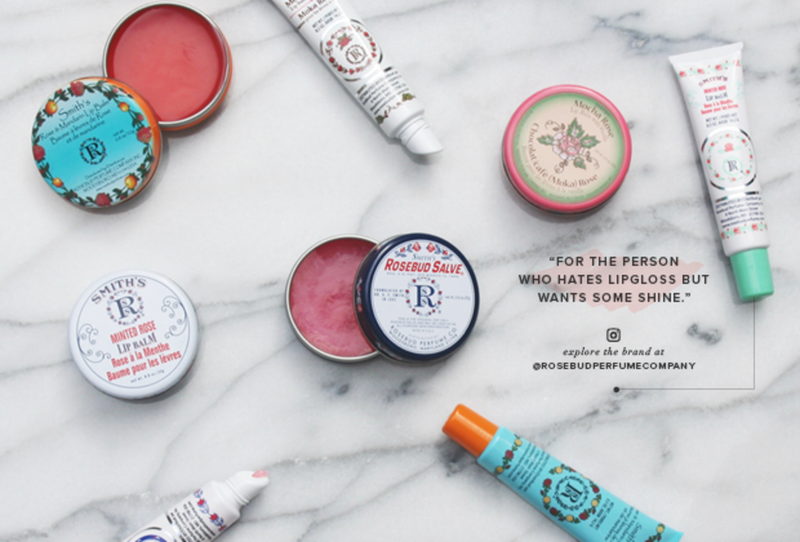 Speaking of beauty bargains, one cannot ignore Smith&apos;s Rosebud Salve in this instance. I first became a fan of this cult salve probably six years ago. I&apos;m not a huge fan of lip products in tubs that you repeatedly dip your un-sanitized fingers in (because gross), so I was thrilled when they came out with squeeze tubes a few years back. Whichever method you prefer, this rose (product) is in full bloom. The Minted Rose variety is my favorite, but I can now also vouch for the Mocha Rose, Rose and Mandarin, and of course the original. At about $8 a pop, this is a bargain rose beauty product that you can&apos;t afford not to try. 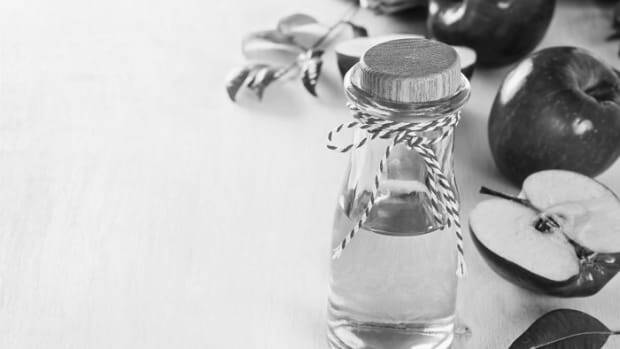 The trademark dreamy-blue glass bottles of Neal&apos;s Yard are a familiar sight for Brits, but this London-based company is just now gaining traction Stateside. 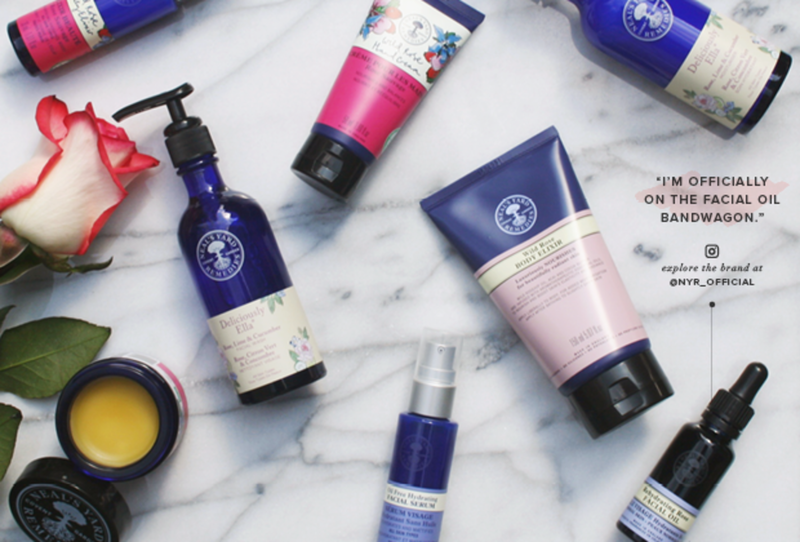 If words like "organic," "ethical," and "plant-based" stop you in your tracks, then Neal&apos;s Yard is probably a brand you should know about. They have several lines that put the skin-friendly rose to work. The Rehydrating Rose Facial Oil is one of those products you didn&apos;t know you needed but suddenly can&apos;t live without. After I cleanse and tone, I sometimes find moisturizers fall flat. This facial oil seems to bring that natural dew back to my skin in a way that creams just can&apos;t. And if you&apos;re into multipurpose products, the Wild Rose Beauty Balm is basically a bed of roses. Chapstick, exfoliant, rich moisturizer, nail reviver—yep, it does all that. We&apos;re dying to know if we&apos;re the only ones curious about the rose revolution. Which rose products do you use and love? Let us know in the comments.